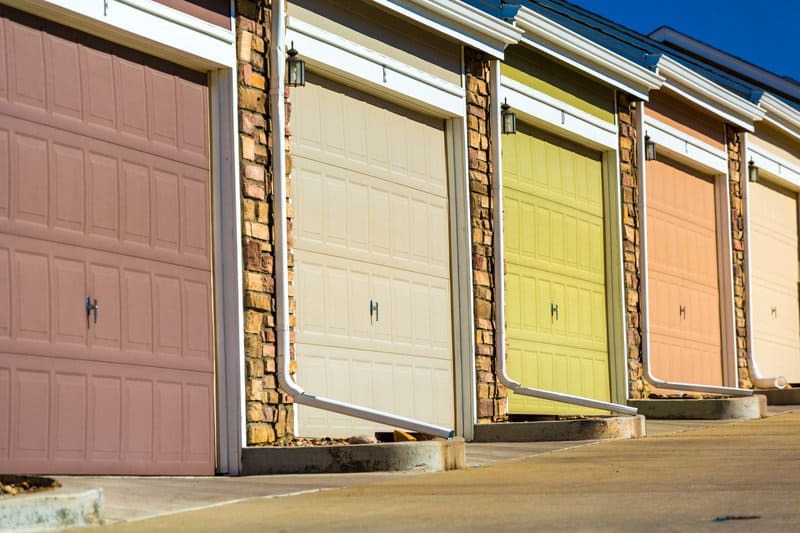 Your garage door paint color is more important than you think. In fact, most people assume their garage door paint color should simply be white. However, when you consider the sheer size of your garage door in relation to your home, it’s a large surface that can have a significant impact on the overall aesthetic. This is not only good for the look of your home, but a strong first impression may even help you sell it in future. Read on to discover some important tips for choosing the right color. You don’t have to be an expert designer to make your home look good. All it takes is a few steps and a process of elimination to find out exactly the right color for you. When most people start this process, they’ll usually go to their driveway and look at the door from there. This is still too close. The best way to get a full picture of your home and how it appears to others is to cross the street and look at it from a distance. This way, you can easily take in all of the home’s colors and begin getting a stronger idea of what you have to work with. If it’s been a while since you took a photo of your home, this is the perfect time to do it. It will be a great reference to look at when you go into the store looking for paint colors. Your home on a bright sunny day will look different during the cold winter. This will also have an effect on how your garage door looks over the course of the year. When looking at your home, think about the surrounding trees and flowers. What colors do they bloom in the spring and fade to in the autumn? If the changes are very dramatic then light greys or darker colors are your best option as they provide excellent backdrops to the colors around your home. If your lawn is more clear, then your colors can be bolder without contrasting with anything as the year goes on. Every home is different and has features which can be customized to suit your preferences. When considering the color of your garage door, think about the front of your home in terms of the colors you can see. Is it built with red brick and wooden frames? Or is it mostly white with a few accents and a dark roof? A good trick is to draw your house as simple rectangles and triangles on your computer filled in with a color that matches each section. From there you can try changing the garage door color to see which works best or looks the most interesting. As you play around, consider the following stylistic options available to you. Some people are afraid to go for a vibrant color. However, what they don’t realize is that it can add a lot of character to your home and make it stand out for all the right reasons. For example, a red brick house with dark wooden trims could easily have a bold red garage door to add a pop of color. As long as the color complements the rest of the home you should definitely consider richer colors if it’s something you know you would like. If you’re concerned about making the wrong choice and want to keep things simple then simply look at your home’s trims. This is an easy way to guarantee that your garage will match the rest of your home while still adding a nice touch of color. Of course, you can also reverse this logic and elevate your home by repainting the garage door and the trims as well. This works very well if the front of your house is simple and only consisting of one or two materials like brick and wood or stone and plastic. For example, imagine a white home with a white garage and black shutters and trims. Painting the garage a navy blue would look a bit odd, but if you also change the shutters and trims to the same blue, the entire house will look much better. Plus the addition of color will help it stand out and look clean and modern. Another tip for choosing garage door paint colors is to look at a color wheel. These are a simple way to see if the colors you’re thinking of using can work together or not. For example, green is the opposite of red so a green garage door on a red brick house will not look good at all. If you want help balancing colors, there are also plenty of other online resources that can help you match complimentary colors together. If you get stuck and really can’t decide on a color, then head to your local hardware store and grab some color swatches. By holding them up against the walls and trims, these will give you a good visual on how the color will look compared to the rest of the house. You can also get some material similar to your garage to try painting yourself to see how it will look. Considering a new garage door paint color takes a little bit of imagination and time. But once you find the perfect shade and apply it, your home will look significantly more modern and new. 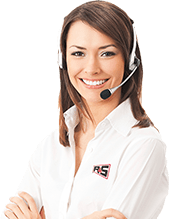 Check out our range of garage door services if you are looking for a fresh change or read our blog for other useful hints and tips.